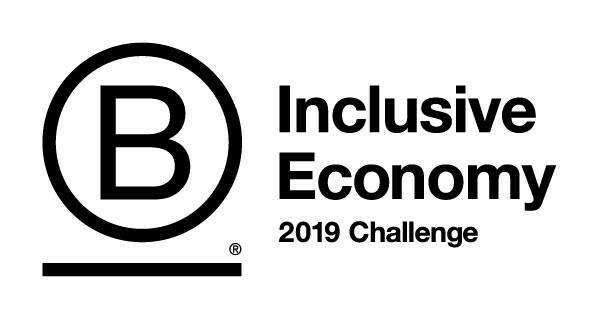 The coming year marks the third year in a row the Certified B Corporation community has galvanized its members around using their businesses to build a more inclusive economy. The idea is simple in concept: Passionate individuals build effective, representative teams at the organizations where they work to commit to making three measurable equity, diversity and inclusion policy or practice improvements. The sum of each company’s efforts adds up to an impact far greater than one person alone could accomplish. Each year, the Challenge grows in participation and achievements, moving the entire B Corp community—and, ultimately, the global economy at large—toward a better, more just and sustainable future. The application of the idea is, of course, not at all simple. Doing this work requires intention, dedication, and openness to sensitivities and varying opinions. It can be tough. And for a solopreneur or a company with only a few employees, figuring out where to start can be the biggest challenge of all. If you are working solo, who are you working to include? With only two employees, what impact can you really have? As it turns out, that impact can be pretty dang huge. We spoke with three B Corp owners to get their take as Inclusive Economy Challenge participants. Rachel Murray, founder of She Geeks Out, worked through the Challenge before hiring her first employee to ensure she had inclusive recruitment and onboarding practices in place from the start. Solo business owner Heather Paulsen of Heather Paulsen Consulting found success in networking with her local community of B Corps to make positive change. And Greg Tooke, founder of Light Trail, recently moved from running the company solo to having a business partner. They have worked through the Challenge first by building their own understanding and then looking for multiple ways to apply what they learned. Get inspired by what they each had to say about their work below! An inclusive economy is one that creates opportunity for all people of all backgrounds and experiences to live with dignity, to support themselves and their families, and to make a contribution to their communities. Access free resources from B Lab to build a more inclusive economy through your business. What goals and areas within the Inclusive Economy Challenge applied to your business? RACHEL MURRAY: We wanted to make sure we were paying our employees a living wage and health benefits (the latter of which isn’t required when you have so few employees). Recruiting was a key component to ensuring we were hiring fairly, so we put into place strong inclusive recruiting practices, including how we write the job descriptions, review resumés, interview and make offers. HEATHER PAULSEN: I sought to change my business banking (and my personal banking) away from one of the commercial giants to a local, independent community bank. I also aimed to convert from a sole proprietorship to a benefit corporation or a benefit LLC. Admittedly, I did not accomplish this goal during year one of the Inclusive Economy Challenge, but it is on my to-do list for January 2019. For the third metric, I had to think bigger and consider what impacts I could achieve through the work of my clients and local B Corp community. I chose the “financial services for employees” metric with the intent to network in my local B Corp community to help achieve this for other companies in the area. GREG TOOKE: While there were a number of goals that applied to our business (and many that we’d find difficult to apply), we chose to focus on working internally and with our stakeholders to raise the profile and improve understanding of equity, diversity and inclusion. To that end, we took opportunities for ourselves and chose to undertake and evaluate our supply chain to bring better consciousness of who we were working with. How did you participate meaningfully in the Challenge as a business with few or no employees? MURRAY: We were optimistic we would hire our first employee soon, so we wanted to be sure we did it right by focusing on hiring first. We wanted to be sure we could do what we could for the employee to treat them as fairly as possible, and we did that by offering a competitive wage and health benefits. We’re planning on offering other benefits as we grow, such as commuter benefits and more. We also work out of an Impact Hub co-working space, which provides community to our small business along with a social justice lens to the work. As a small team, we wanted to be sure we weren’t isolated and that our employees have the opportunity to interact with a larger community beyond ourselves. PAULSEN: I had heard Ted Castle, CEO of Rhino Foods, speak at the 2016 Best For The World event, and felt super inspired by Rhino’s elegant Income Advance Program that was demonstrably changing their employees’ lives for the better. B Lab’s Inclusive Economy Challenge was just the push I needed to try to implement a similar program in my community. I approached my local, independent community bank (to whom I switched my business and personal banking) and pitched the idea that we use the Rhino model to create an emergency lending program that would be available to all Certified B Corps and their employees throughout our large county. We launched the HEAL Program (Helping Employees Access Loans), and within about six months of pitching the idea, HEAL was available to over 600 employees of the nine Certified B Corps in Mendocino County! TOOKE: We focused first on our own understanding of inclusion to evaluate how we could apply some lessons learned or positive practices within our work, for our clients and within our volunteer efforts. We took opportunities to participate in Equity, Diversity and Inclusion learning sessions (both those within the B Corp community as well as other local events in Vancouver). Also, by engaging with and communicating with our suppliers, we are building a better understanding of who we are working with (minority-owned, independent business, etc.). We have applied some of these lessons to both our personal buying habits (my house is a full B Corp supply chain now) as well as with some of our volunteer efforts. I am the Board Chair for Brightside Community Homes Foundationand have recently started the process of reviewing and implementing a systematic equity, diversity and inclusion (EDI) program to ensure our staff, board, policies and procedures are evaluated for inclusive practices. We will be introducing EDI onboarding and annual training for everyone. What would you recommend to a solopreneur interested in the Challenge but feeling like it won’t apply to their business? If you’ve never managed anyone before and you’re going to do it soon, consider taking a course on unconscious bias in the workplace, which can help you better understand how your own biases may come into play when managing someone. PAULSEN: This experience has proven to me that one person can make a big difference. If I can do it, anyone can. It may require a bit of creativity to figure out how you can leverage your solo business to amplify the impact of the Inclusive Economy metrics, but I can attest that the experience of doing so can change your life as well as the lives of the people your work touches. TOOKE: Everyone can understand the subject better, so focus on education and learning first. With that better understanding, it will become clearer how good practices can be applied personally, as well as with clients, stakeholders and general relationships to broaden the discussion and understanding across your network. Editors Note: The opinions expressed here by Impakter.com columnists are their own, not those of Impakter.com – Featured Photo Credit: Bcorp.